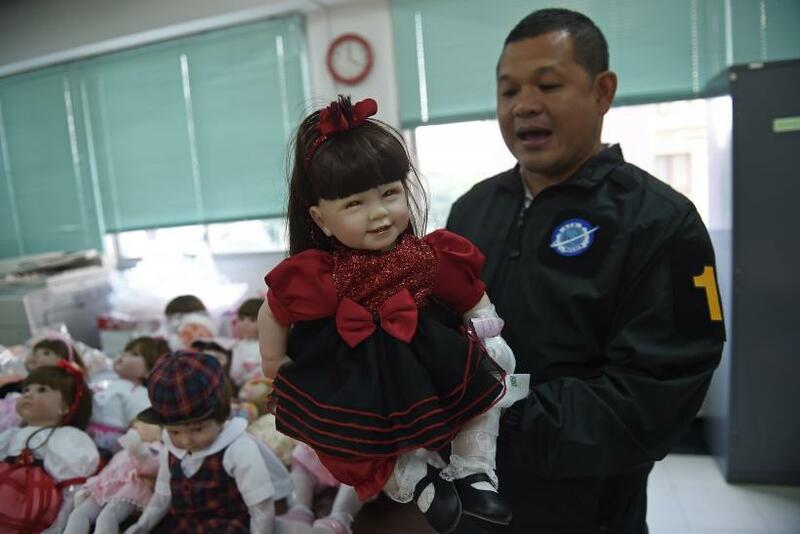 As Thailand's king ails and its economy slides, residents are putting their faith in baby dolls. The demand for "luuk thep,” which translates to "child angels" or "angel dolls," has skyrocketed since a military coup took over the country in 2014, Reuters reported Wednesday. But law enforcement and transportation officials have begun to clash with the craze. Thai people, most of whom are Buddhist, have flocked to buy "luuk thep" in hopes that good spirits will take over the dolls and protect them. The dolls typically cost between $40 and $800, and customers said they bring good luck. "My life has changed a lot, for the better," beauty shop owner Natsuda Jantabtim told Reuters of her doll, Non Ruay Jung. "When I hug her, I know it's love. I tell her I love her all the time." The trend could reflect Thai people's uncertainty over the economy, which has seen little growth since the military junta gained control two years ago and suffered during the recent China meltdown. The nation's central bank governor, Veerathai Santiprabhob, admitted Thailand was in "a difficult transition" to the Wall Street Journal last month. These worries could add to anxiety over the future of the monarchy. Beloved King Bhumibol Adulyadej has spent the past year in the hospital, emerging only briefly Jan. 11 and raising questions about who will succeed him and what the royals' role should be in modern Thailand. "From the perspective of Thais this is a very uncertain time," anthropologist Visisya Pinthongvijayakul told Agence France-Presse. "I think [the angel dolls are] a practice that reflects an unstable and critical moment in Thai society." But as Buddhists have clung to the angel dolls, they've begun bringing the "luuk thep" to restaurants and airports. Neta Grill, a buffet in Bangkok, was giving kids' meals to the dolls, Bloomberg reported. At least one airline, Thai Smile, was rumored to give full-price tickets and snacks to dolls who traveled on their flights -- a practice the Civil Aviation Authority of Thailand condemned Wednesday, declaring the dolls "carry-on baggage." Also this week, a string of vendors were accused of tax evasion, and at an airport in Chiang Mai on Tuesday, officials seized 200 pills of methamphetamine stuffed inside an angel doll, Thai PBS reported.